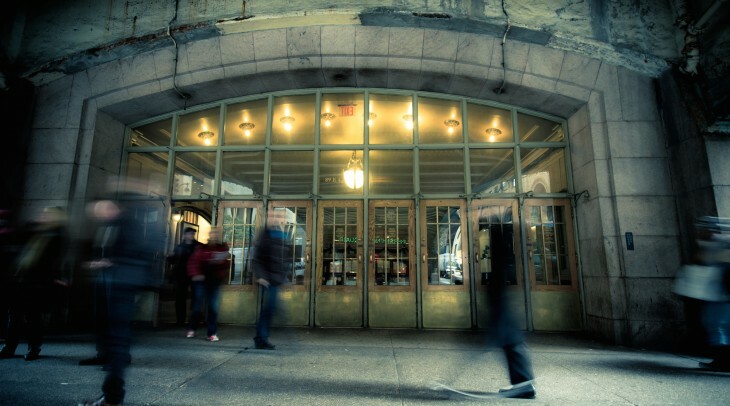 This post was written by Herbert Lui and edited by Robleh Jama, and originally appeared on the Busy Building Things blog. Companies like Facebook and Shopify renew their inspiration by using our art products. What do software development hosting service GitHub, venture capitalist Fred Wilson, and entrepreneur Karen Cheng have in common? They all practise every day. GitHub built a calendar with capabilities to track when users have contributed to their projects (using the Seinfeld chain method, mentioned later in the post). Fred Wilson writes every day. Karen Cheng learned to design in six months, and subsequently got a job at a great startup. Disrupto co-founder and These Days author Jack Cheng recommends working on something for no more, and no less, than 30 minutes per day. As it turns out, this method of consistent practise works with our long-term memory rather than against it. Remember cramming for tests in school and college? The reason why so many of us are not able to remember any lessons from this time is because cramming is effective only for memorizing information that will be recalled several hours later. A general method of mastery was introduced by Florida State University’s K. Anders Ericsson, whose “10,000 hour rule” is applicable to a wide range of activities. For those unfamiliar, Ericsson observed that it generally takes 10,000 hours of deliberate practise for people to master their crafts; this principle applies from chess to design. This type of practise — popularized by Malcolm Gladwell in “Outliers” — makes it possible for us to harness and hone our talents and refine them into expert skills. So, what exactly is deliberate practise? How do you make sure you’re doing it right? How do you keep doing it consistently? Deliberate practise isn’t about mindlessly repeating a task. It requires constantly challenging your current abilities, and progressing to challenges that increase in difficulty. Journalist John McPhee deliberately practised when he moved from profiling one subject per article to a more complex structure of four subjects in one article. Chessmaster Magnus Carlsenpractises against computers that regularly defeat humans at chess. NBA athlete Kobe Bryant doesn’t leave the court until he makes a few hundred shots every day. While these masters have accomplished some remarkable things, they’re human just as you and I are. It’s important to keep in mind that achieving your dream isn’t an impossibility; it just takes regular practise. “He told me to get a big wall calendar that has a whole year on one page and hang it on a prominent wall. The next step was to get a big red magic marker. 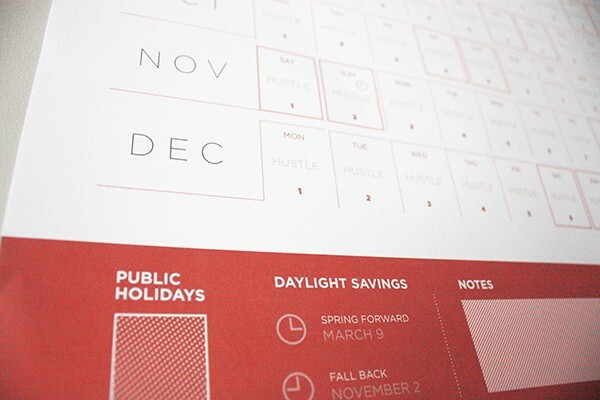 We’ve taken that advice to heart: in fact, we’ve created a calendar specifically dedicated to that concept. It’s a single 36” x 24” page that allows you to create a visually impressive record of your achievements that is simultaneously a spur to achieve more—a never-ending chain. Alternatively, if you’re looking to test this method in a smaller chunk before investing in a whopper of a calendar, print out a monthly calendar and start building your chain. Time-based dash — Most jobs lend themselves to a time-based dash, so pick up a kitchen timer at your local drugstore. Choose an amount of time that gives you enough room to do something but that’s brief enough to seem completely unintimidating. For some reason, eight minutes seems to work well for most of my own dashes. Unit-based dash — Alternatively, depending on the tasks you’ve been avoiding, you could go with a unit-based dash, during which you agree to plow through an arbitrary number of pieces associated with your project (such as pages to read, words to write, glasses to wash, etc.). Combination dash — In many cases, the best solution is a combination dash, in which you get to stop the hated work whenever you reach either the time or unit goal first. When in doubt, simply use a time-based dash. Don’t use your phone, find a timer of some sort (or invest in one), and promise yourself you’ll do just several minutes of your work. While this may sound like a negligible difference, it’s a proven way to help build momentum for the rest of the day. Rick Ross isn’t the only character who hustles every day; entrepreneurs, athletes, and artists from all around the world use this method to refine their craft. Don’t work only when you feel like working: put in some solid practice every day. 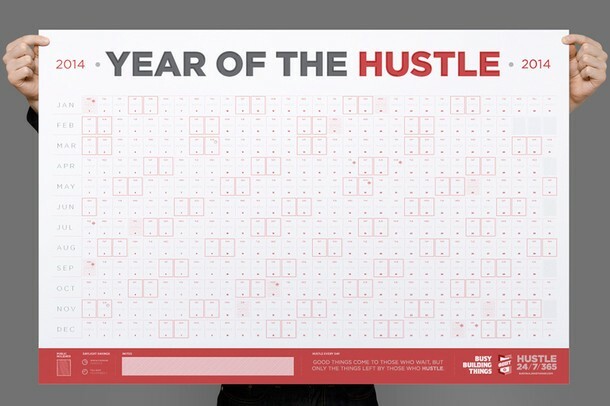 Ensure you hustle everyday with a calendar from Busy Building Things. Public holidays: as the wise Jayson Gaignard has called them, workdays with no meetings. Read next: Growth vs. profit: What should rising startups focus on first?